Not just a cookbook but a guide on smoking featuring some staple recipes along with tips and tricks to get the most out of your smoker. 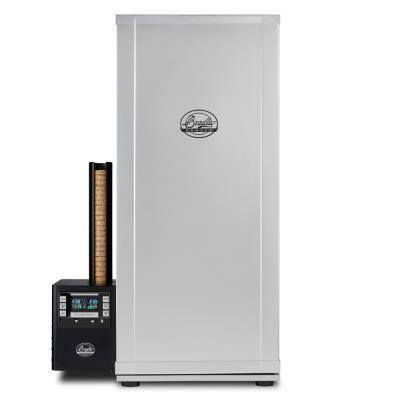 Bradley Smoker takes the intimidation out of smoking with nearly 150 recipes that you can duplicate, adapt and refine and make your own. The Bradley Smoker Cookbook offers such recipes as: Sesame smoked duck over soba noodles Smoky peach cobbler Bacon--with three different finishes Smoked buffalo chicken potpie And much more! In partnership with world-renowned Bradley Smokers, which produces a range of smokers in various sizes, five of its online bloggers/pro staff will produce a cornucopia of recipes that anyone can duplicate with their own smoker--vegetables; appetizers; wild game; components that work in other stove-top, grilled, and oven-baked dishes; and a number of recipes for foods you wouldn't normally associate with smoking.